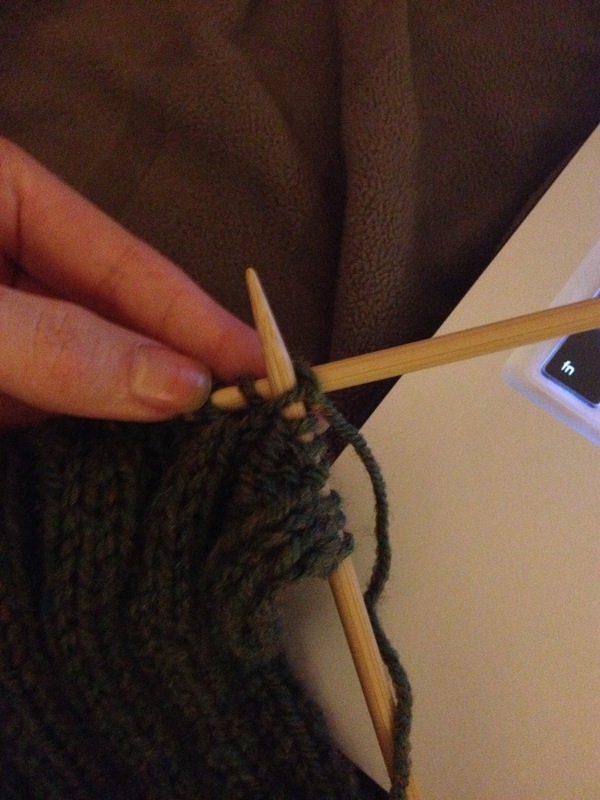 Knitting: "It’s So Easy, Even I Can Do It"
CG Mizzou columnist Alise Murawski shares her DIY knitting experience. Let’s get one thing straight: I had another plan for this DIY. It wasn’t as thought-out, and I was a little nervous it wouldn’t work. But it was going to be cool. Groovy. Far out. 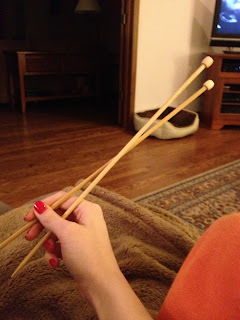 Then, my mother told me I needed to learn more “life skills.” Since I’m a failure in the kitchen, I knew this could only relate to my mother’s current obsession (and no, I’m not giving you a DIY on “Downton Abbey,” which my mother is also obsessed with): knitting. I just wanted to make her happy, and daughter + favorite hobby x daughter interested in said hobby = happy, proud mom. 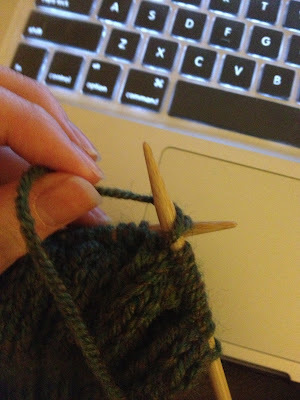 Which would explain why I’m now knitting my poor new boyfriend a moss-green scarf, and I already have one hole (“dropped stitch” would be the proper term) under my belt. He’s not dating me for my domestic abilities, that’s for sure. But, if I can stumble my way through a 3-knit, 3-purl stitch pattern, so can you. 1. 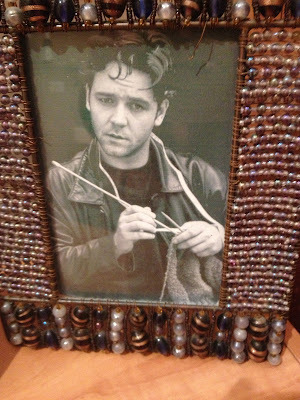 Find someone who knows how to knit. I have my mother, but you could seek out your grandmother, an aunt, a friend who’s obsessed with it or hit a local knitting store (everyone is nice and friendly and non judgemental, I promise). You’re going to need guidance with this, unless you have the patience to teach yourself. Which I don’t. 2. 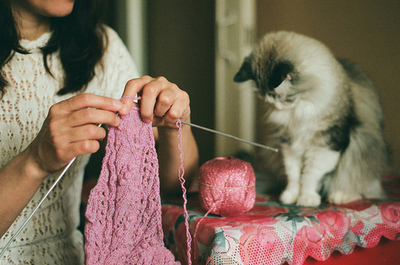 Pick your yarn and your needles. Your yarn should be thick enough to easily knit with (ask your expert) and also colorful enough to see while you’re knitting. Some colors, like plain navy, black, or other deep colors, can blend in together, and then when you’re halfway into dropping a stitch and your needle gets stuck, how can you tell where everything is? Pick a yarn with some depth, or little specks of color that make it easier to see. Trust me … I argued with my mom about this one, and she was totally right. (As usual). Needles are another story. I’m using 8” needles, and they’re perfect for what I’m trying to do (a scarf). But if you’re making a hat or a sweater or a knit dress, you’re going to need to consult your expert or a knitting store staff member to learn more. 3. Pick a pattern. I was completely against the idea of a pattern, but it’s kind of like the backbone of your project. Mine was found by my (glorious) mother for me, and it’s a simple 3-knit, 3-purl pattern. Every three stitches, I knit. 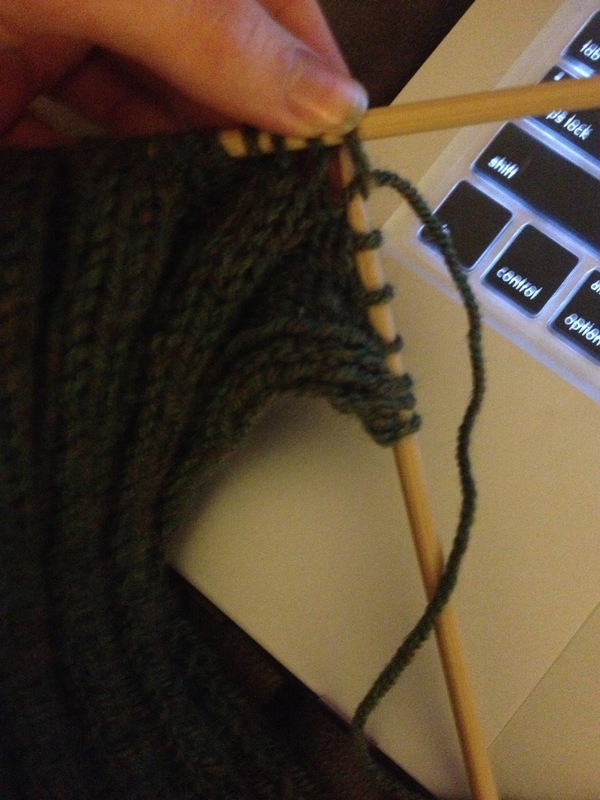 Then I alternate for purl for three stitches. Easy! Different knit-purl combinations create different designs on the yarn, so choose wisely. My advice? Start simple, and work your way up. 4. Cast on. My mom did this for me, but I watched. It’s almost easier to watch someone do it and then attempt it yourself. 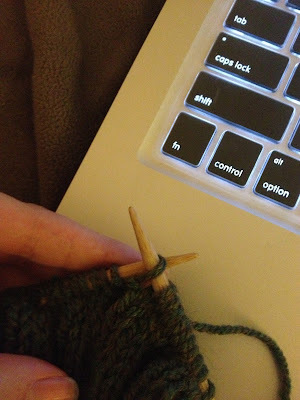 There are a gazillion ways to cast on your first stitches, but I think my mom did something like a Single Cast On. It’s basically a slip knot over and over again. Here’s a video for guidance: Backward Loop Cast On. NOTE: Knittinghelp.com is a fantastic resource. When you’ve gotten the hang of the cast on, decide how many loops you need. For my project, I have 36 loops, or something divisible by 6 because I have 3 knit stitches every set and 3 purl stitches every set before my pattern begins over again. You start by pushing your needle (Needle A) into the loop, making sure it’s behind the other needle (Needle B). Wrap your loose yarn around the tip of Needle A once, then push Needle A through the loop and in front of Needle B. 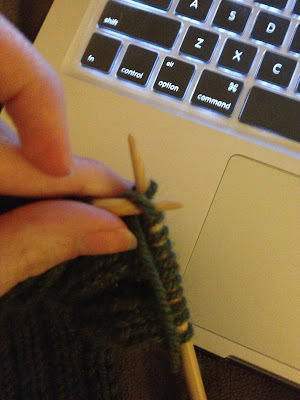 Remember, Needle B isn’t moving at all, you’re just moving the stitches from Needle B to Needle A.
It’s a backwards knit stitch; start with the tip of Needle A pushed in through a loop and in front of Needle B. Wrap your yarn around Needle A once, then push it backwards, through the loop and behind Needle B. Remember, with both of these stitches that as you do all of this, you’re simultaneously moving the loop from one needle to the other. Keep going and try to remember your pattern. 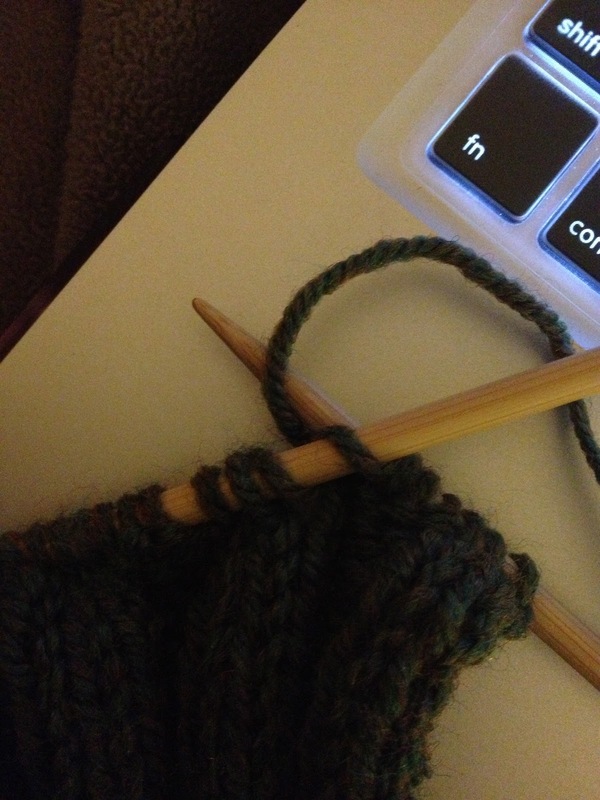 It’s really more simple than I make it sound; knitting is one of the harder hobbies to learn off of the Internet. With me, I’ve already dropped a stitch (so I’m down to 35 loops, not 36 like I need to fulfill my pattern), and I’ve double-stitched too many things to count. It’s a battle to be crafty, my friends, but for you, I’ll do it. 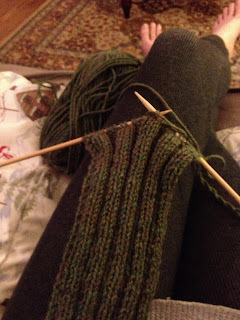 If you have any questions, Google a local knitting store, and head over with your half-finished project. In my experience, anyone would love to help you. Here are some local ones in Columbia. Remember: This is not going to be something you pick up easily (unless you do … then, congrats). You’ll mess up and drop stitches and shove everything at your mom and whine and ask her to “Fiiiiiiiixxxxxx ittttttttttt” in a voice you thought you stopped using when you turned seven. While it may be frustrating and a bit confusing, don’t give up. I loved doing it, secretly, because I got to spend time with my mom. A good hobby is one that makes you happy and brings you together with other people. My mom has made amazing friends with the women in her knitting circle and wouldn’t change it for the world. Also, they’re the kind of people that put up photos of Russell Crowe knitting. Hah! xD I'm loving it. I wanted to make myself a hat and scarf set, I just can't decide what stitch I should use. I stumbled across your blog (this pattern in particular) and decided it's amazing :DD It looks REALLY good! I'm not an expert by any means, but I've made a few hats, ruined a few scarves, and ditched a few too many projects I once had an obsessive desire to finish; you, my friend, have what it takes XD Lol, don't mind me...But honestly, it's looking great :) And you have the PERFECT sense of humor :D I was laughing through the whole post. Keep it up!